There have been...concerns. Ever since the iPhone showed up and started making unfathomable amounts of money, it was easy to get the sense that Apple was maybe leaving the venerable Mac behind. Sure there has been some nice new hardware, and each year Apple dutifully rolls out a new version of its desktop operating system, but it’s also been clear for years that the company’s energy has been focused on its far more lucrative mobile products. This might be changing. At WWDC earlier this month, Apple showed signs that it hasn’t given up on its former show horse — at least not yet — and in fact it might just be preparing macOS for a welcomed resurgence. After more than three weeks living with the beta for macOS 10.14 Mojave (the public beta just went live) I’m breathing a sigh of relief. It feels like Apple cares about the Mac again. If you’re not an avid follower of Apple’s every move you might have missed the initial worry expressed by longterm Mac users. It’s been building since 2010 when Apple launched the App Store for the Mac. At the time people were worried that iOS’s famed walled garden was coming to the Mac. This would mean you could only install apps permitted by Apple itself. Which would mean, potentially, no apps seen as rivals to Apple products, or apps that could be used for questionable activities, like BitTorrent. It would severely limit what kind of applications could be run on Apple computers, especially compared to Windows and Linux—where the only barriers for installation are the result of developers choices. But the dread of a future death of macOS, or worse, a merging with iOS, has reached a fevered pitch over the last year. In December Bloomberg reported that Apple was planning to make it possible for iOS developers to run their applications on macOS. And in April there were rumours Apple was building a laptop based on an iPad-like processor. That would mean, potentially, a laptop with iOS — a bad sign for macOS, which has also had less than incredible updates over the last couple of years. iOS might be a great operating system for checking your email, reading tweets, or watching a little YouTube, but it is not great for...actual work. An all-iOS ecosystem would spell the end for more heavy duty applications like video editing, 3D rendering, and coding—at least in the way we understand it now. From afar, it seems clear that macOS wasn’t suddenly going to vaporise, but it seemed like perhaps its capacity for high-octane computing might be sidelined in favour of bringing iOS and macOS closer together. 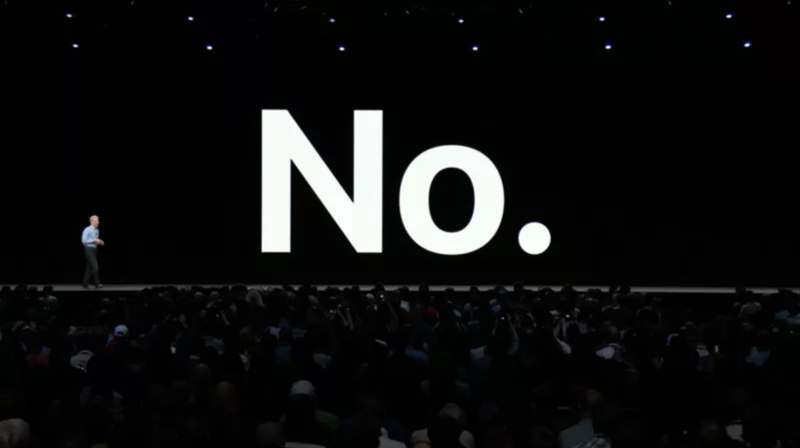 Apple made it very clear there would be no iOS and macOS merge. According to Federighi the two operating systems have very different goals, and macOS is intended to be a powerful creator tool while iOS is intended for content consumption. Instead, Apple is in the process of making iOS apps work on macOS. 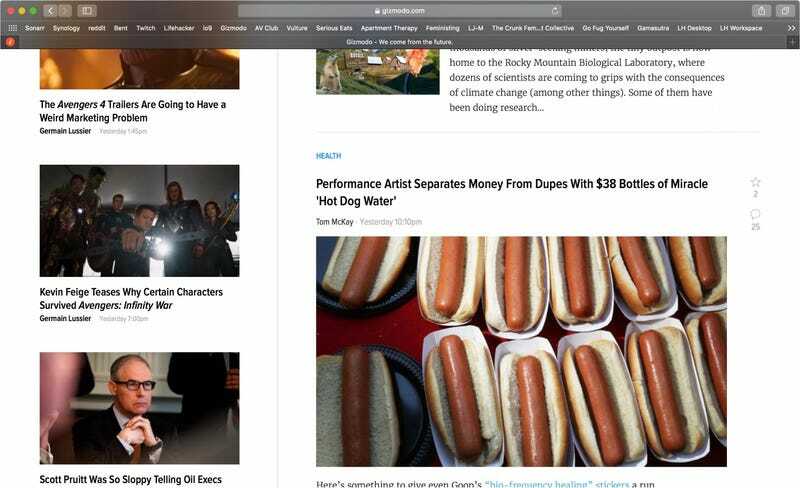 So you could have a solid RSS reader or Netflix app instead of resorting to the web. He pointed to the Stocks app and Apple News, both of which are available in the Mojave beta, as examples of Apple testing the waters to see how apps could work across both OSes. 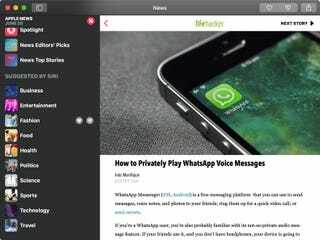 The apps, as well as Voice Memo and Home, are as perfunctory as cross platform apps can be. They’ll remind you of an Android app that’s been optimised for Chrome OS. They look seemingly identical to their mobile counterparts, just twisted into a more landscape friendly layout for the 16:10 aspect ratio of Apple’s current line of laptops. If this is we all we’ve seen of the next generation of macOS apps then there would be — should be — genuine concern for the future of the operating system. They feel like a dumbing down of Apple’s power user operating system. The fingers of iOS linger on them, particularly the Home app, which is all but copy and pasted from the iPad to the Mac. Voice Memos looks great in Dark Mode. 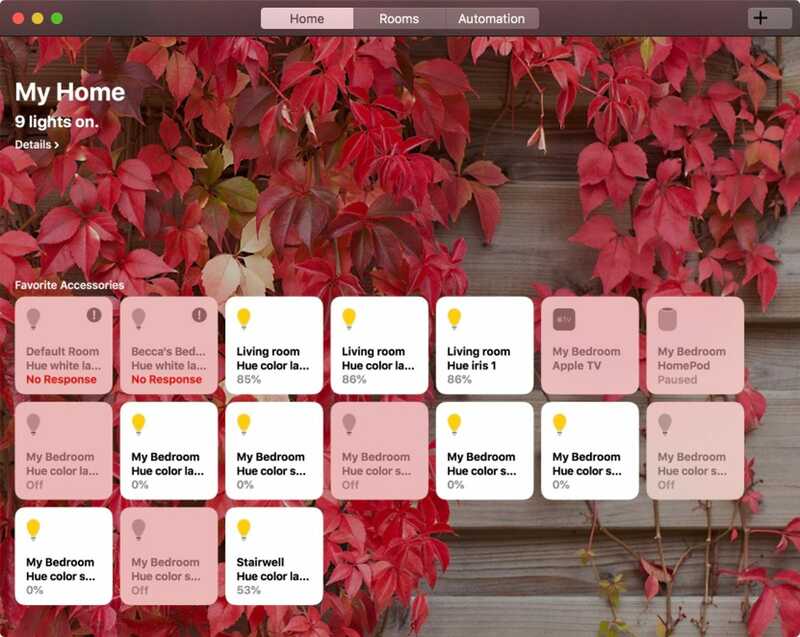 The Home app is barely altered from its iOS counterpart. Still they’re not all bad, and investing time to put popular iOS apps on macOS certainly seems to reflect on Apple’s renewed investment in macOS as a whole. 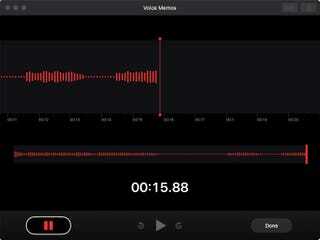 Voice Memo in particular is a great example of Apple’s renewed investment. It’s taken a feature that’s been hidden away in QuickTime for years, gussied it up so it’s more attractive, and made it more accessible. That’s like a lot of the video and audio features added in Mojave too, and some of the best indications of how seriously Apple seems to finally be taking its desktop and laptop OS. 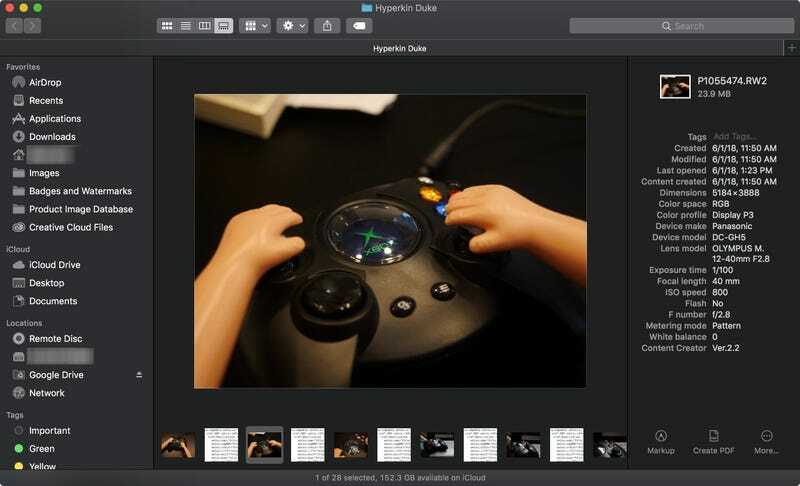 Power users who have lived and died by QuickTime will chuckle at people marvelling over the ability to quickly trim audio and video files. They’ve been doing that for ages! But getting to these features no longer requires 10 years of macOS muscle memory. In Mojave, they’re just right there for any user with a brain stem and pair of eyeballs. 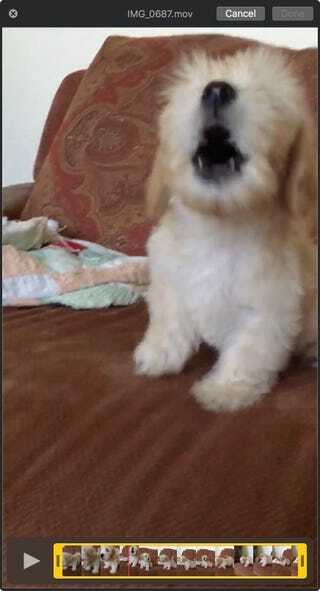 I can click on a video file, hit the spacebar and quickly trim a video of a puppy my dad sent me, or speedily scroll through an interview I recently recorded. The ability to do this stuff straight from Quick Look takes a few seconds—sometimes minutes—off my workflow. And it’s not only made me appreciate the attention Apple is finally giving to macOS, it’s also renewed my own fondness for this operation system. Let’s take Quick Look as an example. If you haven’t used Quick Look before, it’s a function in Finder that allows you to highlight a file and hit spacebar to see a full-size preview. Only now you can actually do stuff in Quick Look besides, you know, look. You can trim those aforementioned video and audio files, annotate PDFs to quickly sign them, and even edit and annotate images. This image actually hasn’t been edited, but you can see the mark up tools in Quick Look. Ted has very important business to do. For people like me, who use a Mac laptop for most of my work, this robust new Quick Look is a godsend. The original tool was already one of my “can’t live without” features from macOS, and while developers for other operating systems have since caught onto the usefulness of the tool Apple has raised the bar in Mojave. I’m not saying you should buy a Mac just to get this robust new Quick Look, but I am saying Microsoft should pay attention. If the improved Quick Look, and the better integration of QuickTime tools into the operating system were the only changes found in Mojave it’d still be a big improvement over previous macOS updates. But Mojave, so far, is so much more than that. This thing actually wants to make productivity easier — a claim macOS has rarely been able to make when Windows is just sitting over there installed in what feels like every office computer under the sun. Windows is supposed to be for the person in the suit in an office. macOS is supposed to be for the aspiring artiste in the coffee house. Microsoft’s blurred the line by appealing to creator types in its last few Windows updates, but with Mojave we’re getting an OS update from Apple that feels like its fighting back. The new app store borrows heavily from iOS, but in all the right ways. This newfound focus on productivity shines inthe improvements to Finder, macOS’s file browsing application. There’s a new Gallery view for the Finder window to compliment the Icons, List, and Columns views available on Finder for decade. It’s useful for sorting and viewing photos—though it’s still excruciatingly slow with files stored on remote servers or SD cards. And there’s an even better Preview panel you can toggle on and off for any Finder view. 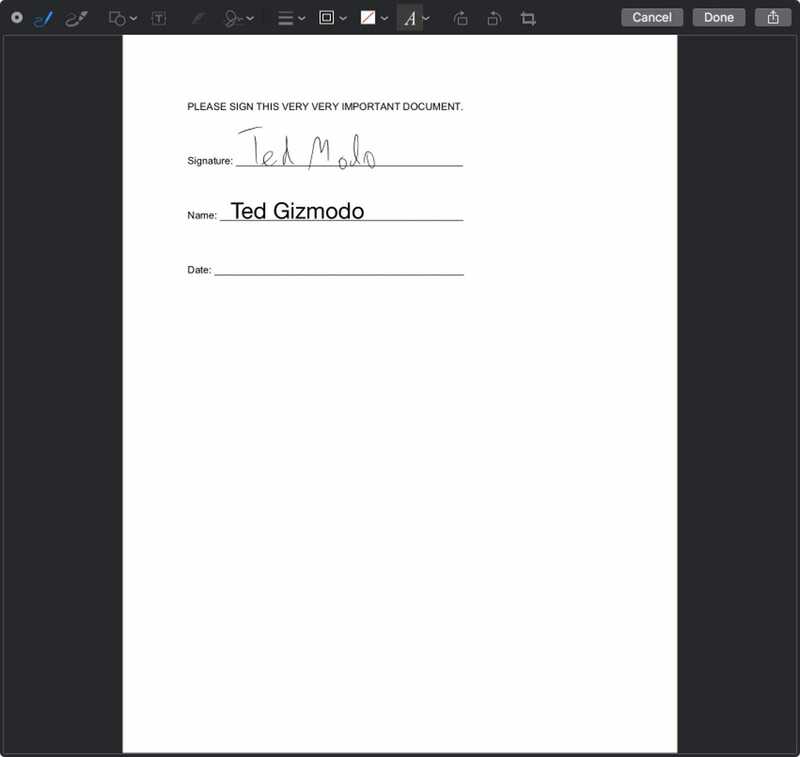 This gives you metadata for images, file size and tag info for other files, and it gives you a nice little panel at the bottom that allows you to quickly annotate images, create PDFs, or trim video and audio files. Apple has also suggested that more abilities, created via Automator, will be possible by the time Mojave launches in the fall. Just a mere mention Automator might make you think back to days before the App Store made us all terrified Apple was going to neuter macOS. Launched in 2005, Automator is a point and drag workflow creator that allows users to create quick applications and simple batch workflows without having to know how to code. Need to batch resize images in Photoshop or batch rename a season of television without using Filebot? Automator can do that. It is a cool tool from before the iPhone—back when Apple needed to wow power users annually to compete with the much more popular Windows. Stacks, the new Finder feature that automatically sorts files on the desktop by tags, date, or file type, is another feature that could have you feeling fuzzy for a time when Apple explicitly cared about macOS. That’s because while this iteration of Stacks is incredibly useful (why make a catch all folder for images when you’ve got a STACK), it’s also not the first macOS product called Stacks. That would be the application introduced in 2007 that did for the Dock what the new Stacks does for the desktop. The Gallery view in Finder, with the preview pane, looks really nice in Dark Mode. Yet the real feature that has me feeling most like Apple has started paying attention to macOS agains is, perhaps, the goofiest new feature announced: Dark Mode. It’s exactly what it sounds like—a cosmetic feature that makes all your windows and applications across macOS a dark grey instead of the fetching light grey you’ve long been accustomed to. Windows, Android, and even iOS have all had some kind of dark mode before this. 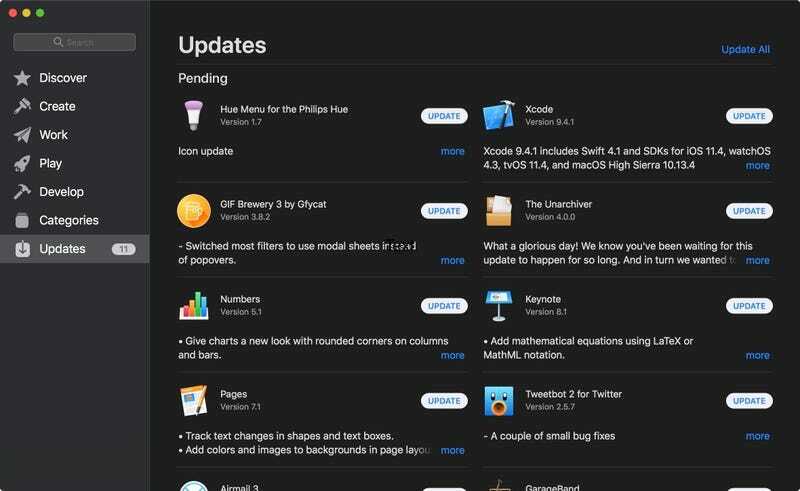 Individual apps like Fantastical and Ulysses have built their own custom dark modes for macOS apps too. But now developers can essentially flick a switch on their app and enter Apple’s new deliciously dusky world. So how is it an indication that Apple cares? 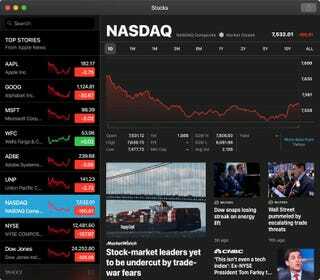 Well for one thing users have been clamouring for a Dark Mode since Apple killed the ability to customise the macOS user interface way back in 2003 with Mac OS X 10.3. Over the years macOS fans have hacked system files, invested in buggy apps, and manipulated the operating system in an attempt to gain that kind of customisation back. Safari in Mojave is so attractive you’ll be mad if another browser is your primary one. And it wasn’t just because a dark mode is pretty. Dark modes are actually really damn useful if you’re working in low light conditions a lot. Your computer monitor is essentially a giant lightbulb you stare at for hours at a time, so light gray text on a dark background cuts down on eye fatigue in dark settings. It’s also, in at least one study, found to simply be more visibly pleasing to most people’s eyes. Why do you think Linux and Windows, coding apps like TextMate and SubLime, and even Adobe Photoshop have a dark mode? These operating systems and applications understand that rested eyes make a more productive computer user, and that every user is different—so having an option between white on black or black and white is key. They get that a computer isn’t just a thing people use briefly before hopping back on their phones. A computer is a device many people have to live at for half their day. Apple, it seems, is finally remembering that too. It’s about damn time.